Hi, dearies! This is a very long overdue review. I received 2 bottles of Ishigaki Premium Plus Glutathione from Cheska's Online Store last May. I'm already familiar with the brand even before I started blogging. I haven't tried it because I was pregnant that time and I don't care about whitening supplements. If my memory serves me right, ladies were discreet when it comes to taking whitening supplements here in our country 7 years ago. 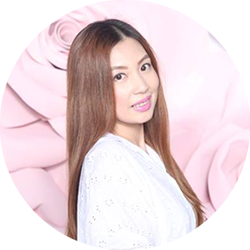 But when popular celebrities became endorsers of glutathione supplements, the demand for whitening products surge. I'm also a lurker in different beauty forums before that's why I've read real experiences from users of this brand. I've seen more of positive results than negative ones. Almost 70-80% of women who were active in the discussion highly recommend this brand. Since I haven't tried this brand before, I'm not sure what are the differences of the old from the new formulation. This review is solely based on my personal experience. I've finished two bottles after six weeks. There were times I take one capsule and there were times I take two. To know more about my experience, scroll down dearies! This unique custom-blend of Glutathione Tri-Peptide and essential amino acids were carefully formulated not just for skin lightening but as well as for the total wellness of the skin, hair, nails, and bones. It helps repair damaged cells from free radical stresses and aids in attaining a healthy, smooth and fairer skin. Ishigaki l-glutathione (food supplement) is a registered trademark. Duplicating the label, design, graphics or product name is illegal and a punishable offense. Ishigaki l-glutathione has been filed and registered to IPO (Intellectual Property Office) with registered no.42008006437. Ingredients manufactured & imported from Japan. Exclusively manufactured for and distributed by: HSE under Japan and USP Standards Campbel, CA 95008 U.S.A. There is fake Ishigaki glutathione in the market today so be sure to buy from trusted sellers. instruction for use: Take 1-2 capsules daily with meals. Best taken 30 minutes before or after eating. I also take 500 mg Vitamin C prior to this capsule. A not so recent photo, this was taken in an event. You can see in the background that I'm basking under the sun. The price- the cheapest glutathione brand in the market today. The bottle packaging is handy. 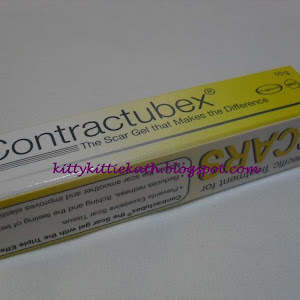 It is tightly sealed once you purchase a bottle so no need to worry about contamination. There's a stinky rotten egg odour once you open the bottle- it only means that it's authentic. I've read in some forums that authentic glutathione should smell like rotten egg. This glutathione also contains L-cysteine and N-Acetyl-Cysteine known as potent boosters to speed up the whitening process of the skin. I didn't experience any discomforts like vomiting, headache, nausea, breakouts, or whatsoever. It made my skin glowing even if I always stay up late at night or if I only have 4 hours of sleep. The color of my freckles lightened a bit while I'm taking this capsule. After finishing 2 bottles, light scars from insect bites are not that visible. It maintained my skin tone even. I took this last May 27 until June 30 and during those days, I'm always out in the sun. I attend events in the afternoon and there are times that I forgot to bring my umbrella. I'm already fair to begin with but it made my skin not pale or yellow white but more of a pinkish/rosy white tone. I give this a 4.75/5 rating. 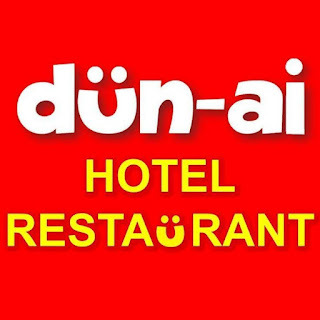 One of the cheapest brands IMO. If you have a morena skin tone, it is best to use this brand for more than 3 months. The effectiveness of one product really varies from person to person. This supplement is also meant to treat blood disorders and serves as an antioxidant in the liver. So if you smoke, drink, and always stay late at night this supplement will also help cleanse the toxins from those I mentioned above in your body. Just leave a comment below if you questions and I will try my best to answer them. i like the effect that the freckle become lighten..
Yup, it lightened a bit. If continued use, I can say it will be less visible na. Pwede na hidi ka hiyang sa product. Have you tried the Ishigaki Premium Soap Ms. Kath? Not yet pa. Haven't heard of it din. baket sa inyo mabilis result? Like what I've said on my posts, iba-iba kasi tayo ng metabolism and skin. Pwedeng mabilis sakin sayo mabagal. Pwede din naman hiyang ka ako hindi. Hindi lahat ng product ginawa para sa lahat. i like this because the effect is visible in two weeks only.. im using it together with rosehip s my Vit C.
Saan po makaka order nito? And may fb page b ung cheska store? How can I purchase it? I think you should follow the right dosing since it will over worked your kidneys. The maximum dosage of taking vitamin C for therapeutic purposed is 2,000 mg a day. I think consuming 3 bottles a month is too much, if you're 50-60 kg, 2 caps of Ishigaki capsule is the right dose for your weight. I agree with you. Thank you so much for this advice. 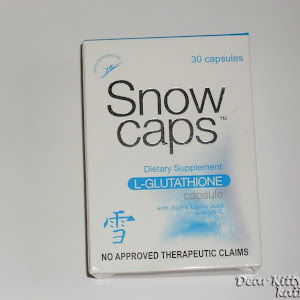 You should take it with vitamin C to boost the glutathione present in ishigaki caps. Hi... ask ko lng if un bang 2 caps per day is iinumin n agad ng sabay or isa sa umga den isa sa gabi? tnx. 1 cap morning and 1 evening. anu ung difference ng Ishi na Premium dun sa ordinary na Ishi???? The difference is the content of glutathione. Saka yung mga boosters din may difference. I'll be reviewing the Ishi Advanced next month. Another variant yun ng Ishigaki. Hi, Ms Kath! ask lang po kung ok lang mag take 1 cap per day? effective parin po ba? Please answer. Thank you. If you have fair skin na okay lang ang 1 capsule a day as maintenance. But if you have medium or dark skin tone, 2x a day talaga dapat. It also depends sa lifestyle mo, if ngpupuyat ka and nag smoke or drink, yung effect ng gluta will manifest muna sa pag detoxify ng system mo then saka pa mageffect and whitening. Is ishigaki premium good for beginners ? I havent tried any oral gluta before and im on a budget. Hi MIss kath! nakakaenlighten din po ba ito ng dark lips? Since the lightening brought about by Glutathione if for the whole body, I can say yes na in the long rung nakaka lighten sya. Anung advisable vitamin C ang pwedeng gamitin? At pag uminom ba ng ishigaki sa 2x a day, 2x a day din and inom ng Vitamin-c?? Hi wala ba tong side effects? like sobrang sakit ng tyan and as in watery na yung poop? may nainom ako, ganun yung nangyari sakin that's why i stopped drinking it. Thanks! Reaction like those depends on your body. If you're acidic better take this 30 minutes after meal. I suggest you consult a doctor before taking any kind of supplements baka may mga ingredients na hindi ka talaga hiyang and causes gastrointestinal irritation. Ask lang po may nakita po kasi akong Ishi sa Shoptitude sa may maginhawa branch.. ok po ba dun? 750 po yung 1 bottle. like ko din po kasi i-try.. I'm fair skin na po kaso mag ssummer ee haha pang ready na rin po.. thanks po. I'm not sure if it's authentic kasi haven't been there pa. You can get naman sa Cheskas Store. Sure na they're selling authentic products plus may discount din if you get more than 1 bottle. Twice a day talaga yung start na dosage but depends din sa weight mo. It depends din kasi sa metabolism ng body, minsan 2 weeks pa lang nakikita na ng iba. If you have morena or dark skin tone talaga mga 3 months to 6 months. Depends din sa lifestyle mo yung effect ng product. If you smoke, drinks alcohol, and lagi napupuyat, mabagal and effect ng glutathione. Saka if nagpapa-araw ka pero wala ka gamit na sunblock, hindi ganun kabilis ang pagputi. 18 years old and advisable age to take this kind of supplement. Miss Kath ask lang po. Mag kaiba ba ang Ishigaki PLUS PREMUIM sa Ishigaki Advanced Ultrawhite L-Glutathione. SALAMAT SA INFO. Yes, magkaiba ng content saka color ng pills. Yung Ishigaki Premium (850mg) kasi nasa transparent na capsule while yung Ishigaki Advanced (1000 mg)opaque ang capsule. Difference nila sa content is ALA while yung premium naman may L-Cysteine. Those are glutathione boosters. Others kasi hindi hiyang sa ALA and sa L-Cysteine so may option which one to take. Is it okay to take gluta while on pills? Thanks! In my experience naman, it's okay as long as you give interval sa pag-inom but it's better to consult your OB para mas mabigyan ka ng advise. Hello po Ms. Kat, safe po ba ang cheska,s online store? kasi na scam na ako dati, ang hirap magtiwala, lalo na malaking halaga ung nakuha sa akin. Yes po. I thought na parang umiitim ako but that's because of the pink tinge which means pinkish/rosy yung pagkaputi nya. Hi, is it ok kung 1 cap ng ishigaki + 2 caps vitamin c+ 1 cap vit. E ? Effective pa rin kaya yun? Mejo morena ako.... magiging effective pa rin kaya pag ganun? Minimum dosage is two if morena skin tone. 2 caps vitamin C taken twice a day kasabay ng Ishigaki. 1 cap a day kasi is for maintenance na. I have a question I'am below 50kg, what would be the right dosage for me? Coz im planning to take it twice a day with 1000mg vit c. 2x a day also. Ty! Thank you so much! Okay to take 2x a day with 2 500 mg vitamin C. 1 Ishigaki + 1 500m Vitamin C morning and evening. Okay naman the normal dosage unless around 30kg yung weight mo. 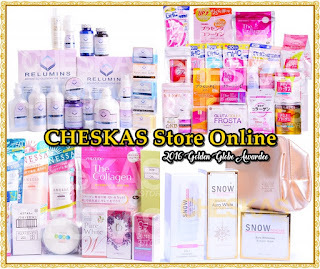 Hi Miss kath,i like.you as a blogger coz you really respond to every query of your reader.Ishi premium is really effective kaya lang nung wala ng stocks ang cheska i switch to nuwhite,very promising din pero i purchase 2 bots of ishi premium now ang bilis ng delivery sa cheskas.pag naubos ko na nuwhite ishi premium naman ako. Thank you so much po! Nakakataba ng puso, pasensya na din kung hindi ko masagot agad ang comments. Thank you for sharing your experience too. Hope marinig din namin ang feedback mo after finishing two bottles kasi need natin magtulungan din dito since magkakaiba tayo ng skin type, metabolism and body composition kaya kahit na effective ito sa akin and sayo pede hindi sa kanya or sa kanila. Salamat sa pag share ng experience. Tama ka, hindi tayo pareho na pede tayong mahiyang sa lahat. Lagi naman trial and error, hindi lang sa supplements kahit sa medicine. This review serves as a guide naman in general, kung ano yung mga dapat mo iexpect sa product pero sa experience iba-iba dahil nga hiyangan talaga. I'm reviewing nuwhite naman and tat 307 in the next months. Thank you so much! Yes, pero continuous dapat ang pag-inom. Hindi mo sya agad mapapansin kasi yung mga areas na yan sensitive ang skin. Kahit na umiinom ka nito pero kung lagi naman masikip yung suot mo na shirt and underwear, nag cacause yun ng friction and may lead to darkening. So bale wala ang pag-inom mo kung na cocounter-act naman nun. Saka if you're using deo and anti-perspirant na nakaka-itim ng underarm, hindi mo makikita ang effect ng supplments pag ganun. Hi po ms. Kath! eeffect po ba sakin ang ishigaki premium kung once a day ko lang itake? Fair skin naman na po ako. Gusto ko lang mas lalong pumuti. Saka 39kilos lang po ako. Since you have fair skin naman, taking 1 cap is for maintenance na lang siguro para even pa din ang skin tone mo. If mas gusto mo pa pumuti, dapat 2 talaga in my opinion. Ahh okay po thankyou! Sabi po nila 2x the dosage ng gluta yung itetake na vit c. Kung 850mg po yung ishigaki premium, edi 1700mg ng vit c na itetake ko? 500mg lang po kasi vit c ko dito. Hindi po ba masyadong marami. Kung 3caps ng vit c itetake ko? 850 mg total nya kasama yung ibang ingredients not the glutathione alone. Mas okay na 1,00 mg Vitamin a day lang kasi masama din ang madaming vitamin c as it causes kidney stones. Recommended dosage ng vitamin C a day is 1,000-1,500 lang talaga. Ok naman ang 3 caps, pero mas safe and 2.
yes, okay yang combination mo. Thank you so much dear! Safe dosage will be twice a day at first. Yup, free shipping nationwide. I already have a review. 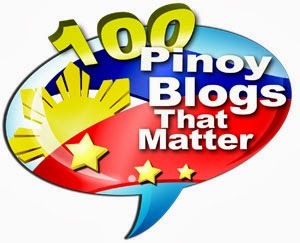 kindly search on it na lang sa blog. Thanks! Not available sa Mercury. Online stores nakakabile ng Ishigaki. For trusted seller I suggest cheska store. Hello po ok ba inum ako ng one ishi at one vit c 500mg immed after bfast and dinner or kailangan pa ako mag wait ng 30 mins aftr my meals..ikaw kelan mo itinitake ang ishi at vit c? 30 mins before meals? Mas okay if 30 mins before or after breakfast. Nung nagtatake pa ko ng Ishi 30 mins before meals kasi hindi naman ako acidic. Pag acidic better 30 mins after meals. Hi po Ms.Kath �� ask ko lang po, I'm a muslima and fully covered po ako. Do I still need to use sunblock while taking gluta? Yes, even indoors you need to use sunblock kasi yung light natin sa bahay emits harmful rays din. Kahit na fully covered ka, tapos nasa labas ka yung UVB/UVA ng sun pede maka penetrate sa clothes mo. Paano kung hindi ako nagtatake ng vit. C? Hindi ba eeffect ang gluta? I'm not sure on that kasi di ko naman na try na hindi uminom ng Vitamin C but according the mga nabasa ko, Vitamin C is needed talaga dahil booster sya ng Glutathione. Hi ms.kath, tanong ko lng po if this dosage is ok? 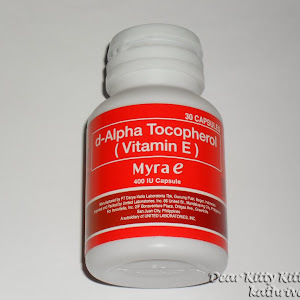 : 1cap ishi premium (850mg) + vita c 1000mg? if i wil take it 2x a day magiging 2000mg po vita c intake ko, ok lng po ba yun? I hav fair skin po, 56kg.. tnx ahead po..
Ok na ang 1,000 mg Vitamin C a day. Pede naman 2,000 mg pero masyadong mataas na yun saka ibinibigay lang ang mataas na dose dun sa may Vitamin C deficiency. Yung kidneys mo baka ma over worked. Pede ka magkaroon ng kidney stones pag sobrang dami ng Vitamin C.
kapag po ba nga take ng ishi dapag din partner ng vit c? cash on delivery po ba ang checkass ?? As far as I know, they have other payment options but no idea with the cash on delivery system. I'll update you asap on this. Thanks! Hello :) Yay! thank you for that :) You mean you'll take 4 Ishi a day? Pasensya na if hindi ko masyado na gets. Recommended dosage kasi talaga is twice a day. Pero if you need to whiten your skin faster may nabasa ako dati na yung iba 4 caps a day pero 1 week lang nila ginawa yun. Sa Vitamin C kasi masyado ng madami ang 2,000 mg. If you're planning naman to take it na 2 agad sa morning or 2 agad sa evening pwede naman. Like once mo lang iinumin ang Ishigaki caps pero 2 na agad, morning man or evening yun. Kaya hinahati yung dosage para hindi ma overworked and Kidneys and other internal organs natin, IMO. No ma'am! Hmm. 1 is to 1 ratio kumbaga? Morning/Night, ayun po. Okay lang naman but the effect will be more on detoxification. Live a healthy lifestyle para mas mabilis ang effect. Hi miss kath .. Sabi nila kpag hininto n pag inom ng ishigaki magkaka break out daw .maglalabasan n daw mga pimples? Is it true? If you are pimple prone before taking this product tapos nung nag-take ka nito nawala pimples mo, chances are pag stop ka babalik yung pimples mo. Pede kasi na yung pag-inom mo ng Ishigaki ang nag-clear ng pimples mo. Sometimes nasa lifestyle din kung bakit ka nag kakapimples. Yes, minimum dosage is 2 caps a day. For three months straight dapat para maximum ang effect. Once you na reach mo na yung desired color mo pede naman once a day for maintenance. Ms Kath ask ko lang po if ok lang po ba mag take ako ng ishigaki while im still breastfeeding my baby. No, I will not recommend you to take this if you're breast feeding. It's better be safe than sorry diba. Since hindi ito FDA approve, no assurance pa din na safe for breast feeding moms. Yes, pede for male ito. 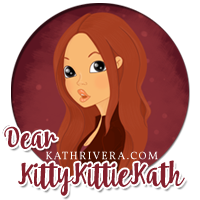 hi miss kat :) what is the best vitamin C for glutathione? madami kasi dont know what to buy and pwede ba sya isabay sa Myra e? Kahit anong 500 mg na vitamin c pwede kung san ka hiyang. Kahit generic pa yung brand nyan. If acidic ka sodium ascorbate will do, if not regular vitamin c ok na. Pede isabay sa Myra E and Ishi. ok po ba kaya isabay ang pag take ng KB-collagen at ishigaki miss kath? Okay naman, no problem with that. I'm taking Neocell +C Colleagen, can I take Ishigaki at the same time? Thanks. I haven't tried Neocell + C Collagen kaya hindi ko sure if okay lang i-take at the same time. Much better sa gabi ang take ng collagen. You can take it with Ishigaki but give interval lang. Say take Ishigaki first then after an hour yung collagen na. Best taken with empty stomach and collagen or 30 minutes after meals. This a very interesting thread po miss kath! Thank you po. Anyways, is it okay po ba na magstart ako sa ishigaki advance then shift to premium after a month? Thank you so much for dropping by :) It depends on your body. Since both naman Ishigaki, pede mo din alternate every month to see which one is effective talaga sayo. Swerte mo if both. Pero mas maganda 3 months continuous ka muna sa isa then saka ka switch. Hi matatanggal po ba pimples if naga take into? Yes, some take glutathione to address their pimples. But depends pa din kasi minsan pag moderate to severe ang pimples/acne mas need ng gamot na talagang pang pimples. IT'S OKAY PO NA MAGTAKE NG ISHIGAKI AND COLLAGEN CAP NG SABAY? Okay naman basta give interval. Hi ive been taking ishi for almost 1 month and I havent see the result yet. What's your skint one before taking Ishi? The effects also depends on your skin tone and lifestyle. If you're taking this then you're always out in the sun and you don't use sunblock or other kind of sun protection, chances are the effects will be really slowly. If you smoke or drink, then the whitening result will also become slower than the usual. Hi, is ishi premium really effective? Maputi/tisay na kasi ako but i want na pumuti pa ng konti and the most is to have the glowing and pinkish result. I am also taking 2tabs/x2day also of collagen. And i do smoke also. Should i take 1 or 2 tabs a day? With vit c? Thanks! Yes, in my experience yes. Take 2 tabs a day para mas effective lalo na kung nag-smoke ka. Yes, with Vitamin C dapat. And do they sell it in japan and mas cheaper? I'm not sure if this is available sa Japan. Made in California USA but under Japanese license. Thank you for reading my blog :) Yes, effective pa din naman pero depende sa metabolism mo. Regarding the Advanced o Premium, hiyangan din kasi. Yung iba mabilis ang effect sa advanced, yung iba naman mas okay sa premium. In my experience pareho sila naging effective sakin kaya lang magkaiba yung tingin ko sa color ng skin ko. Sa advanced white sa premium pinkish white. Yes, okay lang ang 1,000mg na vitamin c.
Hi ms Kath how much po b ung ishigaki? 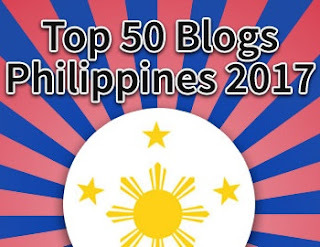 It's already written na po sa blog post. Again, 800 per bottle po. Hi miss Kath, miss safe lang po ba to sa mga girls planning to be pregnant? May ibang gluta kasi na contraceptive din. Eh sa natatakot ako baka di ako mabuntis dahil sa side effects. Thank you po. As far as I know safe naman if hindi ka pa buntis. Siguro just to be sure, mag-stop ka na magtake ng gluta a 2 weeks before getting pregnant. Wala pa naman ako narinig na contraceptive and gluta. Actually, some have claims na it increases fertility pa nga daw but I don't have proof on that. Nabasa ko lang din online sa mga forums. Hi Ms. Kath I would like to ask po kung puede po bang ordinaryong Vit. C ang i-take as Ascorbic acid? Nakaka-lighten po ba ito ng pimples? Ang dami-dami co po kasi in my chin area, lalo na po pag time of the month. Many thanks! Yes pwede kahit anong Vitamin C basta 500 mg- 1000 mg a day. Yes, nakaka-lighten ng pimple marks ang Ishigaki pag continuous and pag-inom. Pwede rin po ba ito sa mga lalaki? Hi ms. Kath, kapag naglighten na po ba yung skin mo and you decided to stop taking capsules babalik po ba ulit sa dating kulay yung skin mo? Yes, possible lalo na kung hindi ka gumagamit ng sunblock tapos lagi ka nakabilad sa araw. It's like a maintenance na kasi, if hindi ka talaga maputi you have to take it for life if you want be fair for life. Mas maganda po ba ito kumpara sa snow caps? Pareho naman ok sakin ang Snow Caps saka ito. Mas cheaper lang ito pero hindi BFAD approved eh. May ibang tao hiyang dito while others naman hiyang sa Snow Caps. Hi mam, pwede po ba magtake ng ishigaki habang may tinatake na ibang gamot? Under medication po kasi ako e. Baka may bad effect kung sakaling ipagsabay ko. Thanks. Need to consult your doctor for that kung may maintenance ka. May contraindications din kasi sa ibang gamot if ever. hi ms. kath. ask ko lang po, ung pag take nyan 1 ishigaki in morning kasabay po ba nun ung vit c? bale 2 ung iinumin ko ng morning (ishigaki & vit c) same din sa evening? It depends sa skin tone mo. Kung morena more than 2-3 bottles. Sa iba nga mga 6 months pa.
You can take it twice a day pa din naman. If you're going to take Biofit be sure to take it before bedtime na, may interaction kasi ang laxative sa supplements. Pwede hindi masyado maabsorb ng katawan mo yung gluta kung iinom ka agad ng biofit tea. Give at least 4 hours interval. Hi Ms. Kath😀 Nabuy ako SA Cheskastore ng ishi premium. 2nd day ko now💛 Sana effective sakin😊 Ok lng Kaya 1ishi and 1 (1000mgvitc) morning and evening? Tpos knina after breakfast ko napainom agad ako OK lng Kaya un Kht Hindi 30mins after meal? Ok naman as long as hindi ka acidic. I also do that before kasi yun lang ang available ng Vitamin C dito sa bahay- 1,000 mg. Basta wag na lalagpas ng 2,000 in total a day. Anyhoo, good luck! Sana effective sayo. Mas okay 30 minutes after meals if acidic ka. Give time muna yung stomach mo na paunti-unti ma digest yung kinain mo then take Ishi na. pwd po ba in any form ung vitamin c ms. Kath? Pw dba ung drinks na may vitamin c content like C500? I'm not sure about that per since yung c500 naman has 500 mg na vitamin C pwede na yung liquid form. Can you please check sa ingredients or nutrition information if 500 mg nga talaga yung vitamin C ng c500. If yes, ok na yun. Interesting ang thread na ito. Itatanong ko lang since effective siya, kung papipiliin ka, ano ang mas effective based on your experience? Ishi or Nuwhite? Kasi iniisip ko kung alin sa dalawa madami kasi nagsasabi na maganda ang nuwhite at dami din nagsasabi na maganda ang ishi premium. Also, nacurious lang ako yung iba nagsasabi ng weight, nagma-matter ba talaga ang timbang sa pag-inom nito? Salamat. Ishigaki Premium if I were to choose because it's cheaper than Nuwhite and faster results. From what I've read online, some based their computation sa standard dosage na 20 to 40 mg per weight in two divided doses. For example ako 55 kgs x 40 mg = 2,200 mg a day divided in two doses. It's only a guide pero not all naman are following this. Yes, maganda sabayan ng collagen ang Ishi. You can buy Meiji Amino Collagen online, Yan ang the best na na-try ko so far. I have a review here on my blog, you can check that too. During that time Calvit yung vitamin C na tinake ko. Good day! :) I'd like to know po sana kung ano yung brand ng vitamin c yung ginagamit niyo kasabay ng ishigaki? Thank you! Calvit yung kasabay nung time na uminom ako ng Ishi for month. Still depends on your body, metabolism, and lifestyle. Sa iba 2 weeks lang may nakikita na effect not only sa whitening but more of the glow. Better give it 1 month para mas makita mo yung effect. Yes pwede naman. you can opt yung mga sodium ascorbate kasi less acidic yun like Fern-C or Bewell C. Kahit 500 mg sa morning and 500 mg sa evening. Kung Kirkland pwede yung 500 mg lang. 1 sa morning or 1 sa evening. If wala pwede naman 1 na 1000 mg sa morning and 500 mg sa evening. May 500 mg na Kirkland vitamin C.
Any list of Legit seller of Ishigaki Premium? cheskas store. She's a legit seller. Hi Miss Kath, ask ko lang po kung anong pinaka effective na oral glutathione ang natry nyo na? Hi Ms. Kath! Typical Morena po ako. If Ishi Premium has the side effect of getting rosy/pinkish skin, does it still recommended for me? Hindi kaya mas lalo akong mangitim tignan? Thanks po. It depends kasi. Kung Morena ka if puputi ka naman yung rosy/pinkish white kasi na tone in my opinion dun sa may yellow na undertone. Morena kasi is more on olive or neutral undertone. Pwede na pinkish pero hindi gano halata. Sa cheskas store po, trusted seller sya. Pwede naman. If maputi ka na, yan ang dosage sa maintenance. Pag hindi naman usually talagang 2 times a day ang inom. Yan ang dosage talaga ng Ishi. Normal dosage ng Vitamin C is 500 mg a day but pwede naman kahit twice a day. Wag lang lalagpas ng 2,000 a day Vitamin C. Of course before taking this supplement dapat alam mo din sa sarile mo na healthy ka. Wala ka ibang sakit or other medication na mag-contraindicate sa isa't isa. Before or after meals pwede. 30 minutes gap. Yung before meals kasi for those who are acidic and can't tolerate supplements pag walang laman ang stomach. Ako kasi kahit alin sa 2. Before empty stomach ko iniiom but sa iba ko ng na-try, kahit after 30 minutes or 1 hour pagkain effective pa din naman. Vitamin C any brand ako kung anong available. Much better to buy sa Cheskas Store. Sila ang supplier ng Lazada dati but now hindi na. So not sure if galing pa din sa Cheskas Store yung sell na Ishi ng Lazada. Yes, you can take it kahit iba ang body clock mo. Just follow lang na twice a day with Vitamin C. 30 minutes before or after meals. For the consistency, usually 3-6 months bago makita ang maximum effect. Kung di ka naman nag-smoke, umiinom, stressed, at hindi ka na-aarawan lagi mas mabilis ang effect nya. Legit ba yung sa lazada? Sa akin kasi before or after is okay naman. Both naman is effective pa din sa akin. Yung ibang collagen kasi before sleeping ang take kaya I'm not sure with your regimen sa collagen. You have to take the ishi with Vitamin C. Dapat sabay sila or pwedeng mauna muna ang vitamin C after 10 minutes yung Ishi na. Brand of Vitamin C any naman, kung ano mabile ko yun ang tinake ko dati. Hi ms.kath..for the girls lng po ba ito effective? ?or pwede rin saaming mga lalaki..??? Hi Ms. Kath! Ano pang mas marerecommend niyo, Ishigaki Premium or NuWhite? Tnx. If you want whiter skin, Ishi. But if you want glowing supple skin, try NuWhite. Mas prefer ko ang Ishi. Hindi naman ako nag-LBM. Baka may ibang reaction sa body nya yung Ishigaki and Vitamin C kaya ganun. Both are okay naman. Ishigaki Plus is for pinkish white skin while Ishigaki Advance is for white sometimes yellowish skin. Wala po plain na Ishigaki. Hello, I am only 17 years old, am I allowed to take this Glutathione? Kindly wait na lang na mag 18 ka na. There's no difference naman just take it twice a day. Some take it all at once kasi sobrang busy nila and nakakalimutan nila. But mas advisable na divided doses talaga.